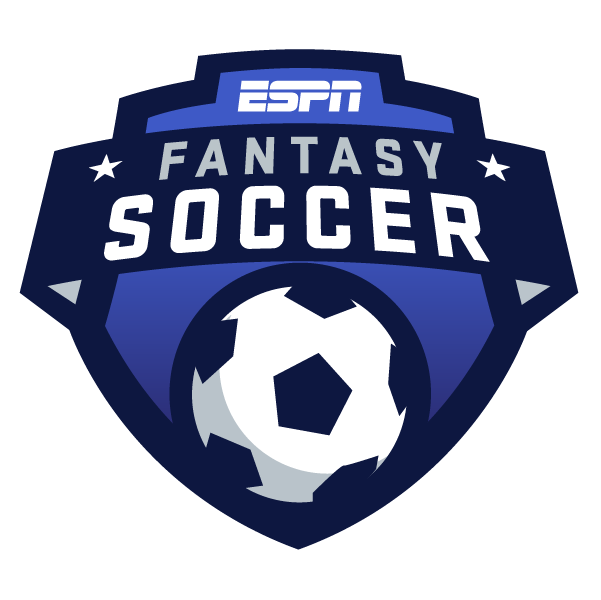 I know what you're going to say: We're looking ahead to the first round of games in ESPN Fantasy Soccer, and you want to start out by talking about defense? Well, yes, I do! We'll have plenty of time to talk about Sadio Mane's hot start for Liverpool (four goals in four games), and Lionel Messi already dominating in La Liga (four goals, two assists in three games). But the most interesting thing happening so far this season, at least in the Premier League, is at the other end of the pitch. Let's start with a few words of explanation, for the casual soccer fan, about the two different types of defenders. There are center backs, who play in the middle of the field and are primarily concerned with preventing goals. And then there are fullbacks, who play out wide and still have some defensive responsibilities, but also frequently move higher up the field and participate in attacks. Fullbacks are much more likely to pick up assists and chances created, potentially leading to huge fantasy performances. Center backs typically collect their points via some of the less lucrative fantasy categories, such as clearances, blocks and passes completed -- generally more consistent performers, but far less likely to hit a fantasy "home run." Through the first four weeks of the Premier League season, two fullbacks have put on an incredible show. Marcos Alonso of Chelsea (68.4 points) and Benjamin Mendy of Manchester City (66.1) are currently ranked seventh and eighth among all outfield players in the league in fantasy points -- very close behind offensive superstars like Eden Hazard and Mohamed Salah. Alonso has a goal and two assists in Chelsea's first four games (all victories). Mendy hasn't scored a goal yet but is tied for the league lead with four assists in four games (three wins, one draw). This isn't a fluke. Alonso, playing as more of a midfielder last season under previous manager Antonio Conte, scored seven goals and would have finished 30th among outfield players in fantasy points. Moving to fullback under new manager Maurizio Sarri certainly hasn't blunted Alonso offensively. He's scored only one goal, but has already hit the woodwork twice and taken 12 shots in four games. Only 10 players in the entire league have taken more shots, and no other defender has taken more than eight. Mendy missed most of last season due to a knee injury. But this is a very highly rated 24-year-old whom Man City paid big money to acquire from Monaco last summer. Mendy's taken only six shots, but he has seven chances created -- three more than Alonso -- and is playing on a team that scored a record 106 goals last season. That should help him rack up plenty more assists. Only two defenders would have finished among the top 20 outfield players in fantasy points last season. And they happen to be teammates of Alonso and Mendy. City's Nicolas Otamendi finished eighth, despite being a center back, but that's primarily because he led the league in passes completed. And it appears that manager Pep Guardiola is phasing the 30-year-old Otamendi out, as he's yet to play a minute this season. Chelsea's Cesar Azpilicueta finished 10th, playing as one of three center backs in Conte's 3-4-3 system. He was fourth overall, and second among defenders, in passes completed. Azpilicueta is now playing at fullback as well, on the opposite side of the field to Alonso, but he's not nearly the force Alonso is offensively -- he's taken only two shots in four games. There are three defenders relatively close behind Alonso and Mendy in the fantasy points standings right now, and they're actually all center backs: Tottenham Hotspur's Jan Vertonghen (11th , 58.2 points), Burnley's James Tarkowski (12th, 57.8) and Man City's Aymeric Laporte (13th, 57.6). But all three have scored a goal (Tarkowski has scored two), and you can't count on center backs scoring many goals in a season. You'll want at least one fullback, if not two, when you select your Tier 1 and Tier 2 defenders this weekend. And right now, Alonso and Mendy are a cut above the rest. They both offer a huge attacking threat and are good enough in other categories to be flop-proof. For instance, Alonso is also ranked 11th among outfield players in passes completed, and Mendy is tied for 13th. The only fullback ahead of them in that category is Azpilicueta. There are some other very good fullbacks in the Premier League, too. Liverpool's Andrew Robertson has two assists and 10 chances created, only two players have more. Tottenham's Kieran Trippier has a goal, an assist and seven chances created. And Watford's Jose Holebas has nine chances created, and is tied with Mendy with four assists. But Robertson and Trippier have tough matchups this coming weekend -- Liverpool and Tottenham are facing each other in fact, at Wembley. Watford has a difficult fixture as well, hosting Manchester United, and despite the fact they've won their first four games, the Hornets were not expected to be very good this season. Chelsea host newly promoted Cardiff City on Saturday, who are winless in their first four games. Man City host Fulham, who have conceded nine goals in four games -- only Huddersfield Town and West Ham have conceded more (10). Alonso and Mendy could both have spectacular games this weekend, and one of them should be your Tier 1 defender. I'm leaning toward Alonso, given he's the more likely goal-scorer -- he also gets to take free kicks from time to time. The way things are going, you could alternate between Alonso and Mendy as your Tier 1 defender for the entire season, picking the player with the better matchup each week, and probably do well almost every time. Save your mental energy for making other, tougher decisions.